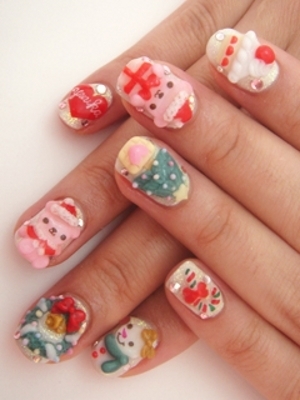 Holiday Japanese Nail Art Designs. Stay party-ready with a gorgeous manicure. The following holiday Japanese nail art designs provide you with a set of inspiring and scene-stealing mani models you can also copycat. Fancy a beautiful and bold beauty update? Check out the dazzling holiday Japanese nail art designs which can definitely turn you into the top attraction of the party. 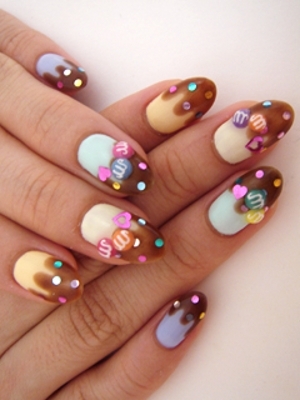 The latest manicure models have arrived and are offered by Ami Manabe from our favorite beauty blog, Aminail. 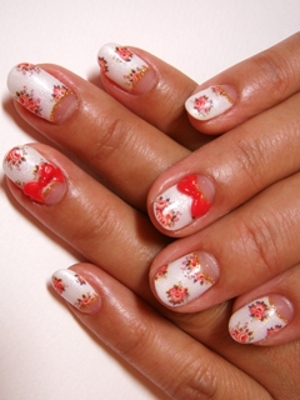 It's high-time to pamper your visual sense with a parade of cute prints and patterns you can decorate your nails with. Inspiration doesn't come easy! 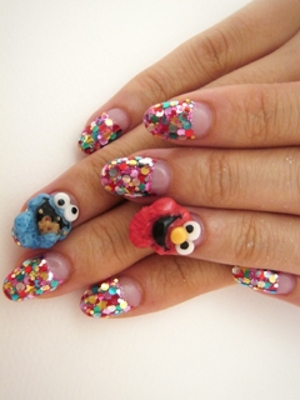 Therefore, feel free to skim through our carefully selected gallery of festive season nails. 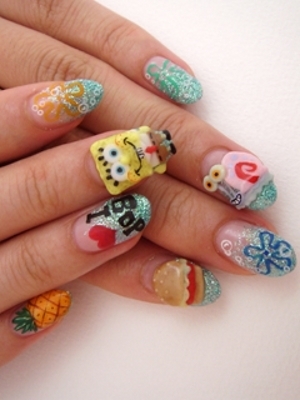 Keep your mani looking bold with bright shades and extra details like stickers and glitter. 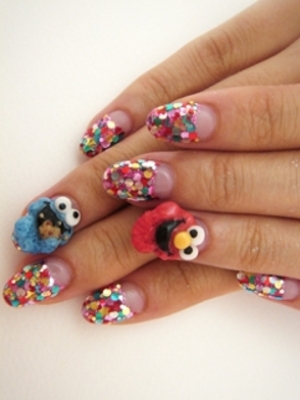 Experiment with a multitude of nail trends you can also popularize among your beauty kitten friends. Learn the simplest way of adding easy-going glamor to your look. 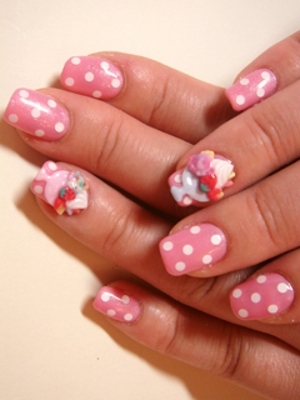 Steal the nail polish application tricks of aspiring nail artists eager to provide you with a myriad of manicure designs. 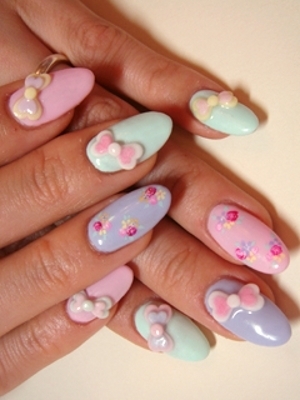 Improve your nail painting skills with a few simple models. Proceed to the next level only if you feel ready for the ultimate challenge. 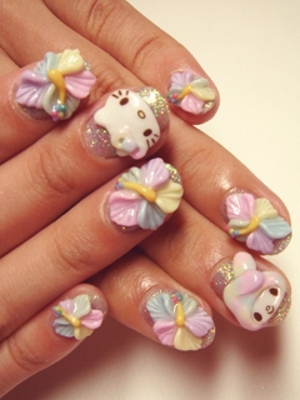 3D Japanese nail art is undoubtedly the most inspiring trend you can also try. Glamorize your appearance with one of these too-cool-to-miss manicures and don't forget to complete your beauty kit with stickers, glitter and other creative tools. Build up a breath-taking look by starting from the tiniest details. Keep your nails perfectly polished and experiment with a rich color palette to find the shades which bring out the most of your skin tone. 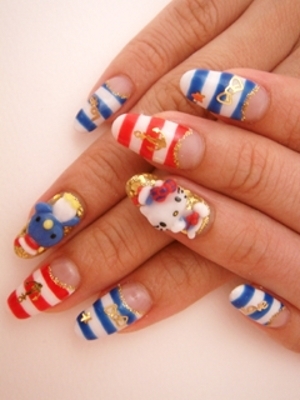 Hello Kitty nail art designs are a perma-trend. However, you can also complete your inspiration set with fabulous prints and patterns like polka dots, bows, cupcakes and other cartoon characters. Work your way to earn the title for the ultimate beauty trailblazer of the moment. Let the dapper nail designs from Aminail grant you with the best inspiration for your upcoming manicure session.